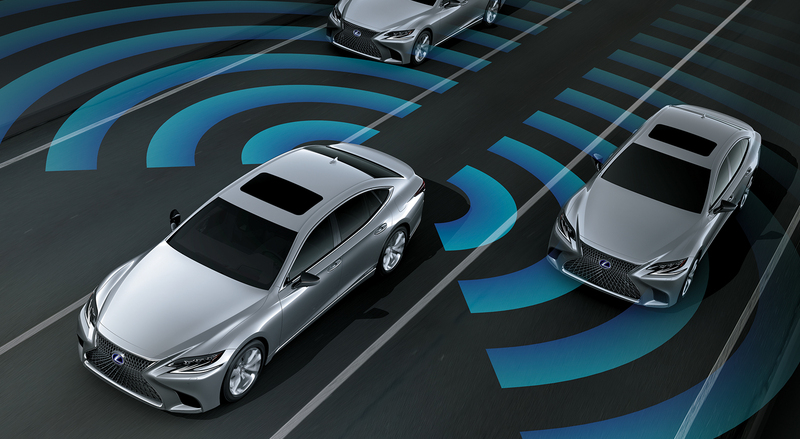 LKA alerts the driver with a sensory alert using steering wheel vibration or a buzzer, and on the multi-information display if the system judges the vehicle is about to cross the lane markings without using the turn signals, and assists steering to help avoid lane departure. 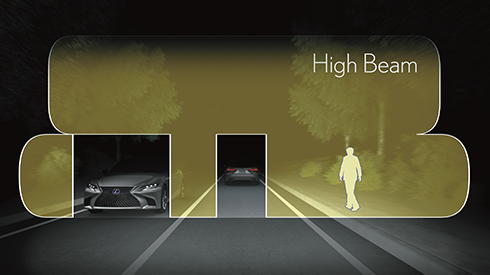 When the system detects a vehicle within the area illuminated by the high beams, it disables/enables 8 upper and 16 lower LEDs on each side to partiallyblock light from the high-beam headlamps so that they don’t directly project onto a preceding or oncoming vehicle. 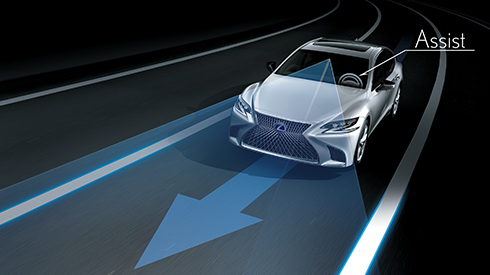 In this way, it helps to provide the driver with good visibility by illuminating road signs and other objects in front of the vehicle, without dazzling other vehicles. 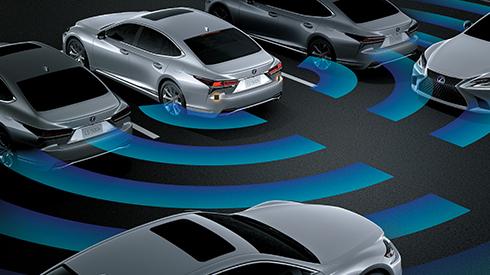 To assist safe reversing, RCTA uses quasi-millimeter-wave radars in the rear bumper to detect approaching vehicles in difficult-to-see areas behind the vehicle. 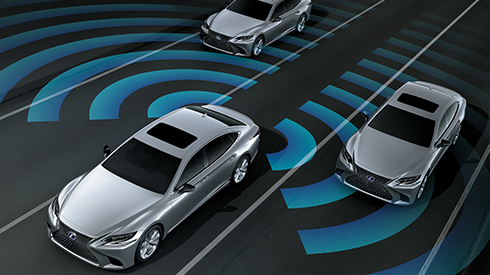 When an approaching vehicle is detected, RCTA alerts the driverusing a buzzer and an LED indicator in the relevant door mirror. 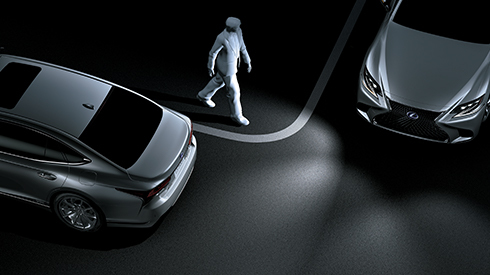 The innovative PUH helps to provide pedestrian protection in the event of a frontal collision, and at the same time enables a sporty design with a low hood line. 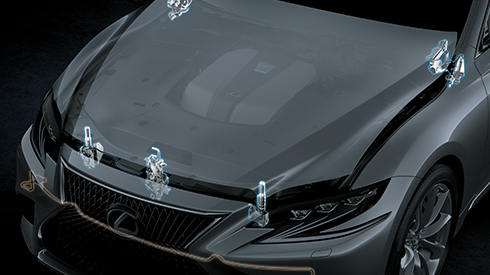 When sensors mounted in the front bumper determine that the vehicle has collided with a pedestrian, the hood instantly pops up on four fulcrum points to create a space to help absorb the impact force. 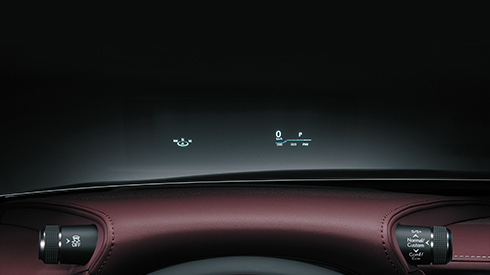 The system helps the driver intuitively understand warnings and take action to avoid potential hazards with animations and information projected on the large 24-inch (600x150mm) display. The screen is divided into different areas to effectively bring information to the driver’s attention including cautions and warnings, driving support, road signs, vehicle speed, navigation and other information. 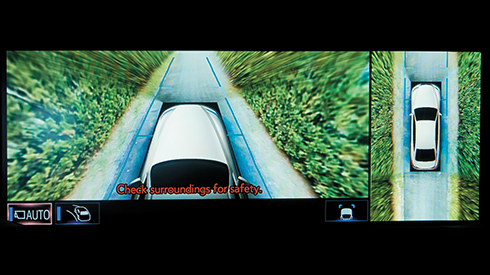 Video that provides the driver with an imageof the vehicle as if viewed from above is displayed on the 12.3-inch EMV (Electro Multi-Vision) display. It helps the driver to check conditions around the vehicle that are difficult to see in real time. 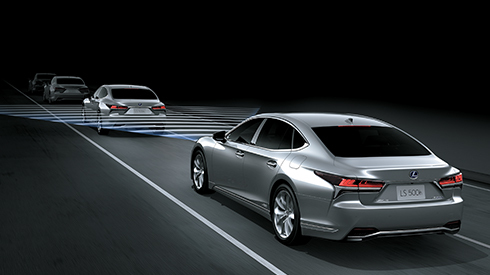 When the rear seat is unoccupied, it automatically reclines in tandem with shift operation. 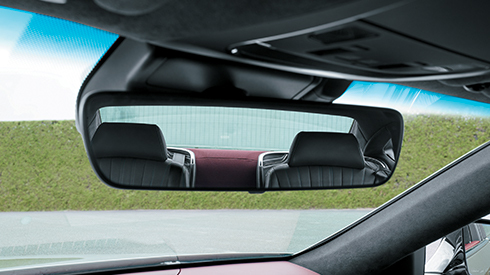 If the headrest is raised, it also lowers to provide a wide field of view in the interior mirror. 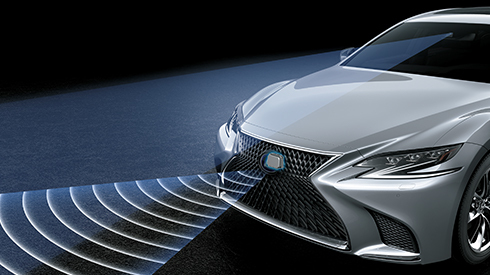 The LS features dual-stage SRS airbags (Front seats), SRS knee airbags (Front seats), SRS side airbags (Front and outboard rear seats) and SRS curtain shield airbags (Front and rear seats). 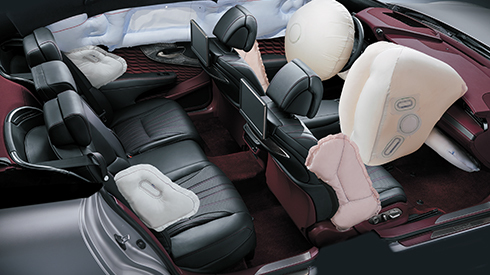 SRS seat cushion airbags (Outboard rear seats) are also available for the power rear seats.